Smart AI assistants like Google Assistant already have a lot of controls our the appliances and some other “not-so-smart” connected devices. However, there are times when you wish you could get more out of our AI assistant. Well, that’s exactly what Google is enabling with new Custom Device Actions and a bunch of other new features. First off, we have subscriptions. In all fairness, Google’s Assistant has long supported subscriptions. However, with the new update, you can now subscribe third-party actions and get daily push notification updates. For instance, you ask your Assistant to give you a daily update on the stock prices from a particular app, as long as the app has code to support the functionality. In addition to that, Actions now include more advanced media playback for formats beyond music and podcasts. You can now listen to clips from TV shows as well, and get more control over them. You’ll also receive a media notification from where you can manage your playback. 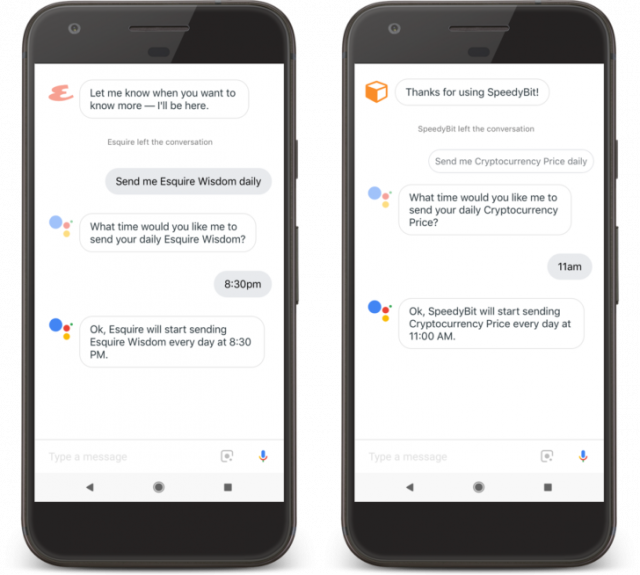 Google is also allowing the developers the ability to show digitally purchased content through Google Assistant. So, if you have subscribed to a particular app, that app now has the ability to customize notifications for you so you are sure to receive the premium content you paid for, while non-subscribers get the regular content. A majority of these new features are already available to Actions developers starting today. That being said, the end users can expect to see the changes gradually over time as the apps get updated. 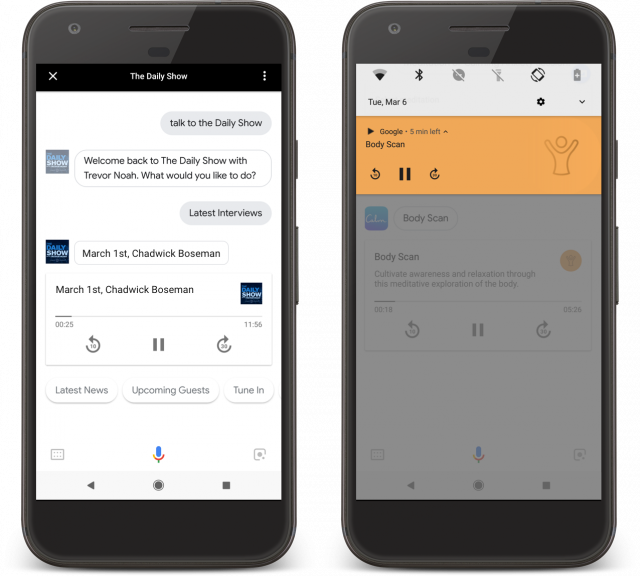 To showcase some of the ways in which Actions can be used, Google will be running a Google Assistant Fun House at the SXSW 2018 show.